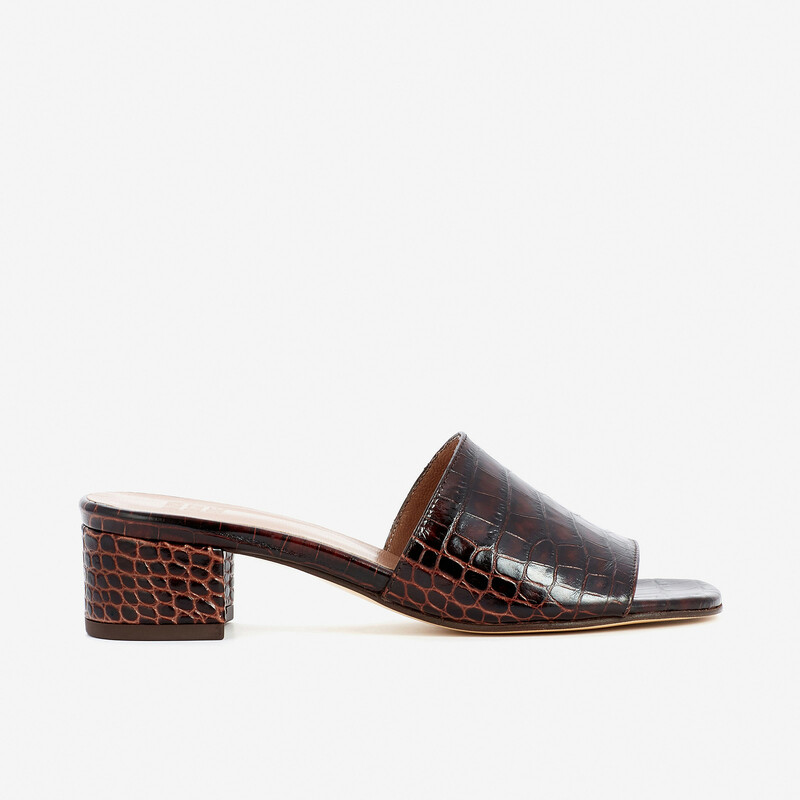 Maryam Nassir Zadeh is highly considered designer best known from her girlish minimalistic styles with sixties vibes. Practicality, impressive silhouettes and fresh colours meets in her designs. 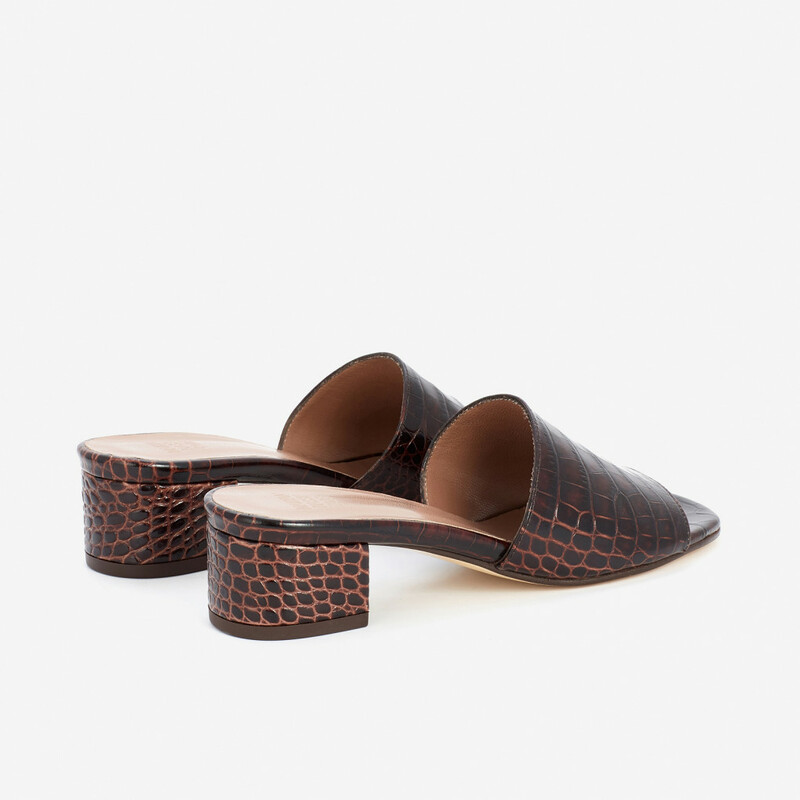 Sophie slides combines comfortable low block heel and pale design with daring crocodile texture. The heel and insole is covered with upper material. Leather outsole in contrasting natural leather color. Embossed label on the insole. 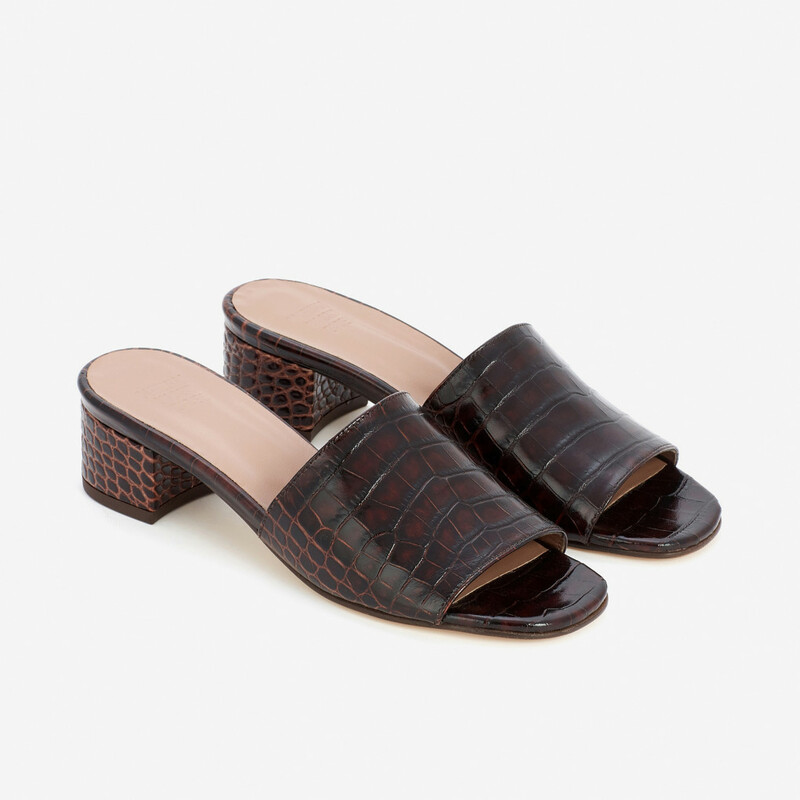 1 x Brown Croco Sophie Slides was added to your shopping bag. 1 x Brown Croco Sophie Slides was added to your wishlist.